Attendees are encouraged to take advantage of one of our preconference sessions held on Tuesday August 8, 2017 from 9AM - 4PM. The I/DD community service system is heavily influenced by federal agencies, funding and policy decisions. This session will look at key federal issues affecting state service delivery systems and the impact they have on community agencies and the people they support. We will explore the history of Medicaid funding for I/DD services, the changing priorities the federal government has established for community services, the budget impact of Medicaid funding for I/DD services and the influence the new Home and Community Based Services (HCBS) waiver definition is having on state service systems. The session will review HCBS requirements for Conflict-Free Case Management (CFCM) and Person-Centered Planning. We’ll also look at Supreme Court and Department of Justice decisions that impact community services including differing views on what constitutes “a community”. We will review the impact the 2014 Workforce Innovation and Opportunity Act (WIOA) is having on employment opportunities and the services and supports people with I/DD receive in this arena. The growing trend toward Managed Long Term Services and Supports (MLTSS) and how this approach differs from traditional Fee For Service (FSS) reimbursement methods will be discussed, as well as how Value Based Payment (VBP) reimbursement models may impact community services. This session will be part history lesson, part current affairs review and part looking ahead to the future of the community system for people with I/DD across the country. 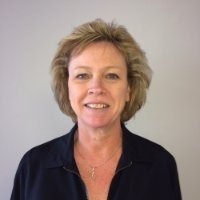 Biography: Kathy Carmody, MSW is the CEO of the Institute on Public Policy for People with Disabilities and has worked in the I/DD field for over 30 years, including roles as a DSP, QIDP, Director of statewide demonstration and training projects and Chief of Staff for a nationally recognized community agency. As CEO of the Institute on Public Policy for People with Disabilities, Kathy is involved in policy issues affecting people with I/DD and serves on a number of statewide committees and Task Forces, including chairing the Life Choices Team 4 charged with designing the person-centered planning process that will be adopted in Illinois. As CEO of the Institute on Public Policy for People with Disabilities, Kathy is involved in policy issues affecting people with I/DD and serves on a number of statewide committees and Task Forces, including chairing the Life Choices Team 4 charged with designing the person-centered planning process that will be adopted in Illinois. As CEO of the Institute, Kathy is involved in a wide array of policy issues affecting people with I/DD and serves on multiple committees and task forces focused on policy development and implementation. Kathy has presented widely on policy issues impacting the I/DD community including national conferences, Partners in Policymaking forums and statewide and regional events. The Institute is a partner with CQL in presenting HCBS training events and webinars that have been attended by more than 2,000 stakeholders. Kathy is a graduate of the National Leadership Consortium at the University of Delaware and has a Master’s Degree in Social Service Administration and Policy from the University of Chicago. Take a day to focus on the number one tool you and your team use to achieve your most important goal: increasing the quality of life for the people you support. The primary tool that we, in our field, use is ourselves: our words, our actions, our very way of being. Given that, consider the importance of voice quality to what you do every day. Your voice carries your emotions and the intention you have for every communication. It would be difficult to overstate the impact of voice in your role as a supportive manager, coach, teacher, or fellow team member. How much training have you received in using your voice effectively? In Power of Voice, you'll learn the value of developing your Professional Voice, a way of speaking that helps you meet more of your communication goals, inspire trust, and defuse conflict. This training draws from a six module Power Of Voice training curriculum developed by voice and communication professionals, Anne Ward and Bob Sandidge, for ICPN (Illinois Crisis Prevention Network). The Power Of Voice, featuring videos, workshop exercises, and discussions was created specifically for what we do in our field, the way we work, and the voice challenges we face. 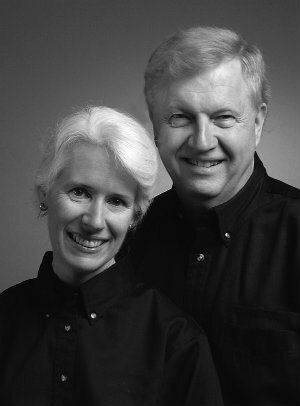 Biography: Bob Sandidge and Anne Ward are authors, consultants, and trainers who consult and train in the realms of Power Of Voice, Communications, Marketing, Personal and Organizational Development. Both are voice-over professionals who study and teach the power of voice and linguistic patterns. They have scripted and voiced training programs, promotional videos, and radio spots. Recent spots are currently running on three major stations in the Chicago area. Bob started professionally working with his voice in his first broadcasting job while in high school. He has written, voiced and produced hundreds of soundtracks in his marketing communications company. Anne, the primary author of Power Of Voice, has also written and voiced numerous media presentations. Both have consulted and trained extensively with those serving people with developmental disabilities since 1991. Currently, they are consulting on special projects for Trinity Services.